Spring is heating up and we're gonna give it a little push. Come out this weekend and join us at the Art In The Park Show in Elmhurst, 10-5 Saturday and Sunday. Loads of great vendors to check out. 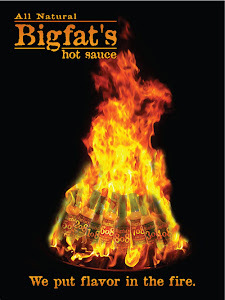 Stop by, say hello and grab some sauce for your Cinco de Mayo fiesta.